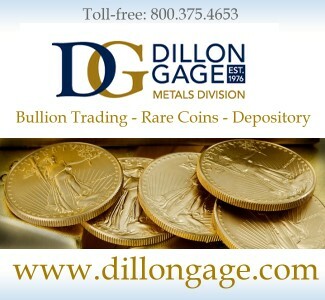 Gold coins were made at the New Orleans Mint between 1839 and 1909. During this time, there were no fewer than five issues which are distinct one-year types. This means that a specific design was produced just for a single year. 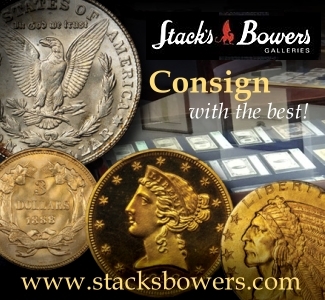 These five one-year types are very popular with collectors. Are they undervalued or overvalued? What is the best value grade for each issue? What are some buying tips? 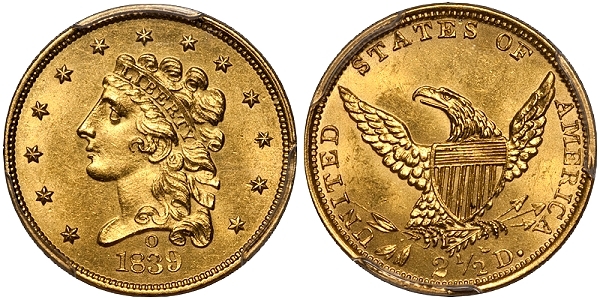 There are four one-year type gold dollars dated 1855 or 1856 and the New Orleans Mint issue, dated 1855-O, is the most available (and among the most popular) of these. A total of 55,000 of these were issued. It appears that the 1855-O saw active use in commerce as most survivors are worn. I estimate that 500-700+ exist in all grades with around 90% of these grading AU58 or below. 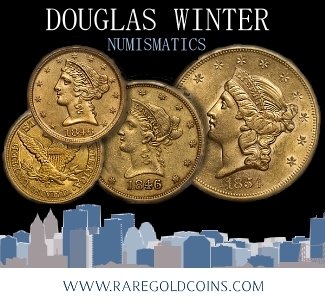 There are four to five dozen 1855-O gold dollars in Uncirculated with the vast majority in MS60 to MS62. A properly graded MS63 is rare and the finest known for this date is MS64, with maybe six or seven extant in this grade. 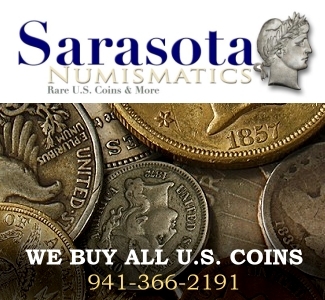 It used to be very easy to locate an attractive circulated 1855-O gold dollar. This New Orleans Mint issue remains tons more available than, say, a nice 1855-C or 1855-D, but its current market value reflects this. In my opinion, for the collector on a limited budget, the best value grade for the 1855-O dollar is an AU53 to AU55. An AU55 with all the bells and whistles should be available for less than $3,000 which strikes me as good value. For the collector with more to spend, I’d suggest an MS62 which should be available in the $12,500-$15,000 range. Value Verdict: The 1855-O seems very fairly priced to me in circulated grades. It has become a little expensive in Uncirculated but given its scarcity and popularity, high(er) end examples are fairly priced. You can’t get much more numismatically significant than the 1839-O quarter eagle. It is the very first gold coin of any denomination made at the newly-opened New Orleans mint. It is the only Classic Head gold coin from the New Orleans Mint, and the only gold coin from New Orleans with the mintmark displayed on the obverse. 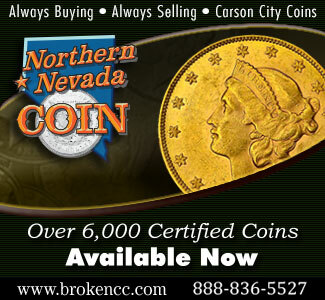 From the perspective of overall rarity, the 1839-O is not a rare coin as an estimated 450-550 exist. This issue is found most often in lower grades but there are still an estimated 125-150 in AU grades. The typical New Orleans Mint AU 1839-O isn’t especially nice as most have been ruined in an attempt to upgrade them. A choice, original AU55 to AU58 is now much harder to locate than it was a decade ago. A solid AU55 will run you around $6,000-7,000, while an AU58 is worth in the $8,000-10,000. 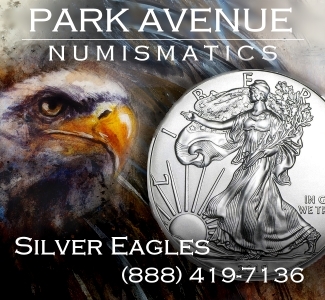 An estimated 25-30 Uncirculated 1839-O quarter eagles exist with most in the MS60 to MS62 range. I know of four or five which grade MS64, but none have been available for a number of years. A really nice Uncirculated example will cost you at least $25,000-30,000 if you can find one. My number one buying tip for this New Orleans Mint issue is to be patient and wait for a coin which isn’t overly bright and shiny. 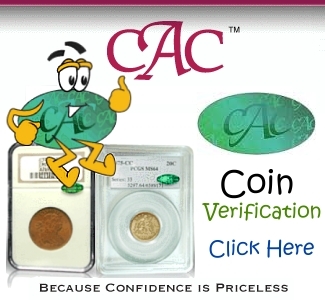 You’ll have to pay a 25-50% premium for a CAC approved 1839-O quarter eagle but in this case I think it’s worth it. Value Verdict: The 1839-O has seen considerable price appreciation in the higher circulated grades in the past few years and I’m not really certain it is “good value” anymore. 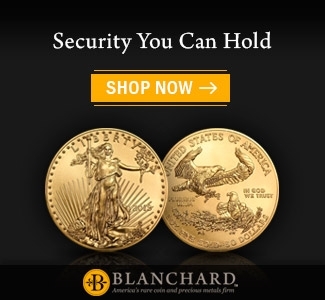 But this is a coin with tremendous multiple levels of demand and there is considerable demand chasing a limited supply of really nice examples. 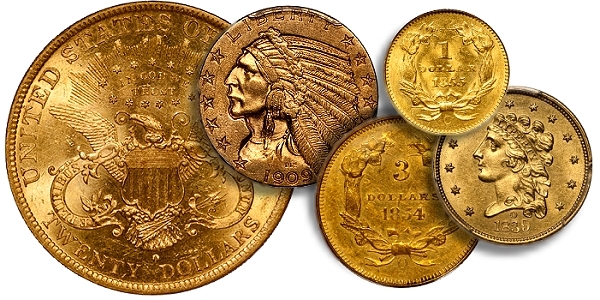 Three Dollar gold pieces were made at the Philadelphia mint (1854-1889), Dahlonega and New Orleans (1854 only) and San Francisco (1855-1857, 1860 and 1870). 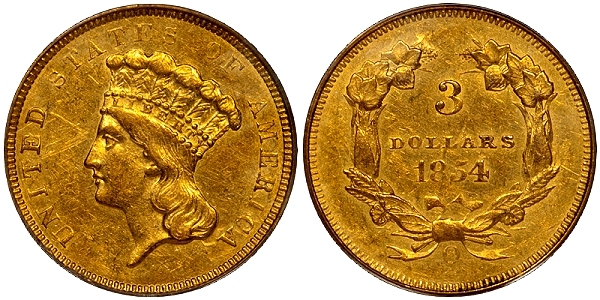 The 1854-O is among the most available of these branch mint Threes. There were 24,000 1854-O Threes made, and the survival rate is higher than expected with over 1,000 believed extant. 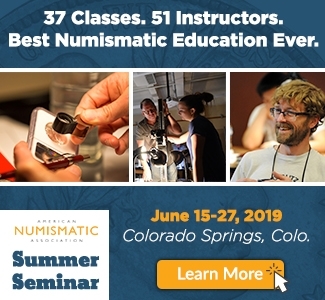 This issue appears to have seen active circulation as many survivors are in comparatively low grades; especially considering that this was a redundant and mostly unpopular denomination. The 1854-O is relatively available in the lower AU grades. It becomes scarce in properly graded AU55, and rare in AU58. 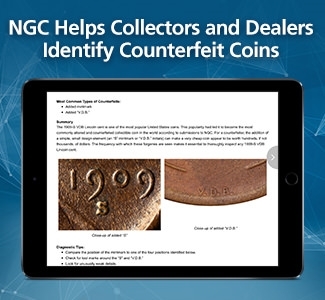 Uncirculated pieces are very rare with an estimated five to ten known. I haven’t seen an 1854-O which was finer than MS62 to MS63, and to date CAC has yet to approve any of the Uncirculated pieces slabbed by PCGS or NGC. The best value grade for collectors on a budget is AU55. A properly graded PCGS New Orleans Mint piece should be available in the $6,000-7,000+ range and this is seemingly better value than a PCGS AU58 which will run $14,000-16,000, and closer to $20,000 for one with CAC approval. Since examples of this issue are fairly abundant, collectors are urged to be picky when selecting an 1854-O $3. 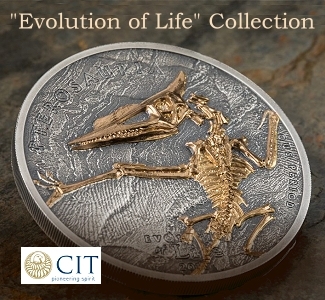 Look for a piece with natural color and surfaces and remember that an AU coin should show some degree of luster. Value Verdict: Overgraded, washed-out 1854-O Threes are clearly overvalued in all grades, but after some downwards price corrections, I feel that nice AUs with original “skin” are fairly priced. For reasons still not fully understood, the half eagle denomination was resurrected in New Orleans for one year. A total of 34,200 were struck, of which as many as 2,000 are known today. The 1909-O is very common in Extremely Fine and the lower About Uncirculated grades. 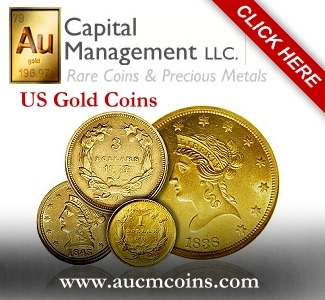 It is marginally scarce in properly graded AU58, and scarce in the lower Uncirculated grades. It becomes genuinely rare in MS63, and Gems are extremely rare. The supply of this issue in the EF45-AU55 range far exceeds the demand. 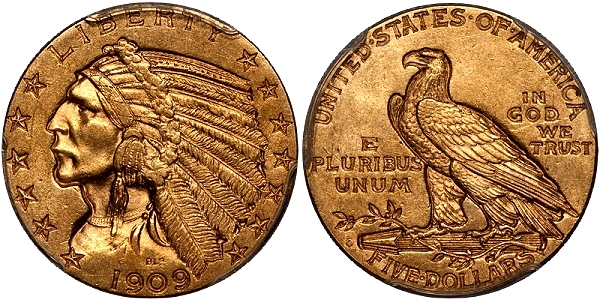 Despite this fact, the 1909-O half eagle remains expensive and, in my opinion, the values for this issue appear somewhat artificial. For many collectors, a nice AU55 is about as nice an example as is required. A properly graded PCGS AU55 will trade in the $12,000-14,000 range; more if CAC approved. For higher budgets, an MS62 at around $45,000-50,000 (well more if CAC approved) makes sense, especially as a solid MS63 can trade for over $100,000. 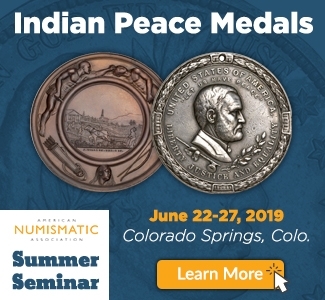 My most important suggestion for a buyer is to seek a coin with a sharp mintmark as some 1909-O half eagles have a faint “O.” Also, look for a nice original coin but avoid one which is too dirty as this design doesn’t look nice if it has too much caked-on dirt in the recesses. 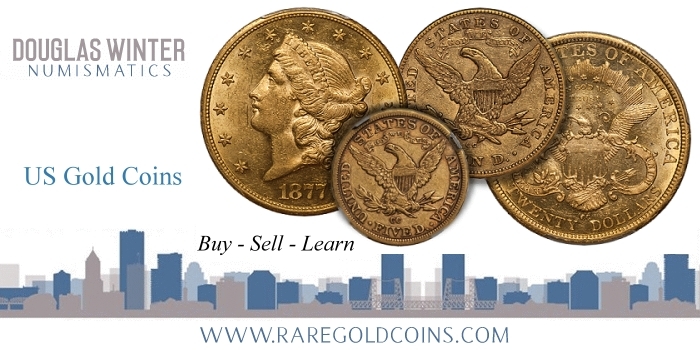 Value Verdict: I hate to take a shot at any New Orleans gold coin but, in my opinion, the 1909-O half eagle is the most overvalued issue from this mint. I can think of innumerable ways I’d rather spend $15,000 than on an AU55 1909-O half eagle. 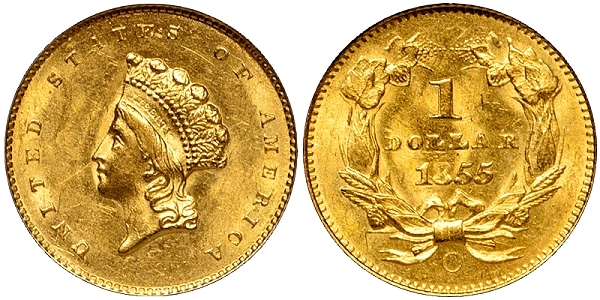 Of the five one-year type gold coins from the New Orleans Mint, the 1879-O is the rarest and most expensive. It is also my personal favorite. Only 2,325 were made, and slightly more than 100 are known today. The 1879-O is seen most often in Extremely Fine and lower About Uncirculated grades. It is very rare in properly graded AU55 to AU58, and extremely rare in Uncirculated with just three to five known. Only one Uncirculated 1879-O $20 (an NGC MS60) has sold at auction in close to two decades. 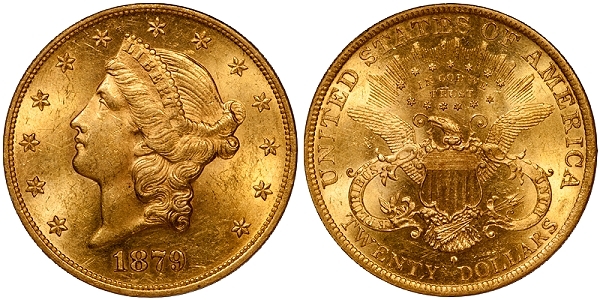 There are so few nice 1879-O double eagles available that I’m not sure a “best value grade” exists for this issue. I believe that any piece with original color and reasonably choice surfaces is far rarer than generally realized, and a comparatively nice example will always require a stretch by an astute collector. Expect to pay $45,000-55,000+ for a nice EF and $65,000-75,000+ for a nice AU. This doesn’t seem like enough of a value differential between, say an EF45 and an AU53, but most examples at the ends of this scale show little cosmetic difference; hence the bunching of values. There are likely fewer than a dozen known 1879-O double eagles which are good looking for the grade. Most have been harshly cleaned and most are very heavily abraded. Be prepared to pay a fully-deserved premium for a truly nice example should one become available. Value Verdict: This is an expensive coin which has increased in value considerably over the last decade. While scuffy, ugly examples are probably a bad deal even at discounted levels, a really pleasing 1879-O is good value at today’s levels. 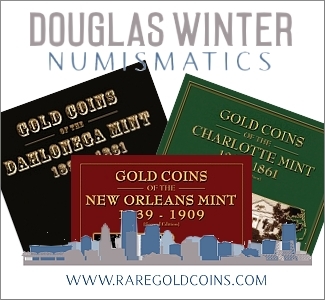 Do you collect New Orleans gold coinage or would you like to start a collection? 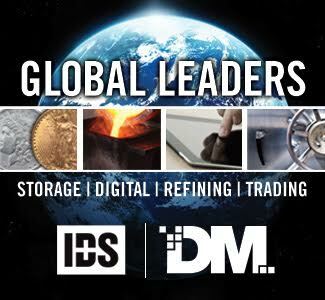 Why not work with the world’s leading expert on New Orleans gold and let Doug Winter help you build a meaningful collection. 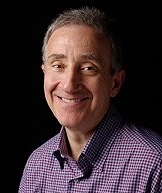 Contact Doug by email at dwn@ont.com to discuss your goals.